Back in 1999 sometime, we get a call from our good friend Victor Reyes. This guy named Craig Lieberman was having an audition for cars. A new import scene related movie called Redline was getting ready to shoot, and some of the actors, director, producers were wanting to see some cars. The audition was going to be at Universal Studios, Victor asked what we could take. This set into motion what would be lots of great times, and fun working on these movies. I am really appreciative of my time working on and in the movies. Some people love the movies, some people hate them. Some say they ruined the scene. I take it for what it is worth. Entertainment, not a documentary. There are plenty of documentary's, and reality shows on TV, if you want that, then watch those. 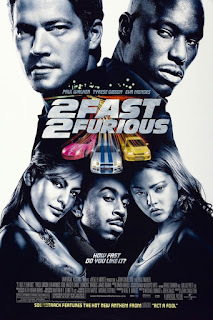 If you want a couple hours of movie and car action, then Fast and Furious is a fun time. Notice any of the vehicles in here? A lot of people ask, why the R33 had such a small role in the movie. Why was it a minor character car? We had brought the R33 GT-R on a trailer. It had run in the One Lap of America, and had hurt a turbo during the trip. Borrowed a truck and trailer from Signal Auto, and set off with the R33 on a trailer, plus driving two R32 GT-R with Ken and James. At some point during the audition, I ended up giving Paul a ride around the Universal lot in an R32. If you ever heard of an R32 GT-R sideways around the clock tower, probably never happened. A group of producers, and assistants were going around checking out the cars. When they came up to the R33, they asked what it was, and a little bit of why it was there, and how it compared to the Toyota Supra. I went into my best salesmans pitch ever. I let them know why the Nissan Skyline was such a significant car in Japan, the long history of the car in Japan, and how it was idolized, and perhaps put on a high pedestal here in the US. They liked the car, and they asked how many I could get. Now you have to understand this was a unknown quantity then. MotoRex was small, and we really didn't have many cars or customers. 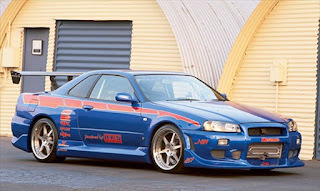 One other R33 that I could think of, was owned by Mike Ferrara. Since Mike and Craig ran competing drag racing series, it was unlikely to get that car. Getting more cars to the US, in the short amount of time they wanted, was near impossible without flying them, and we were not going to foot that expense. 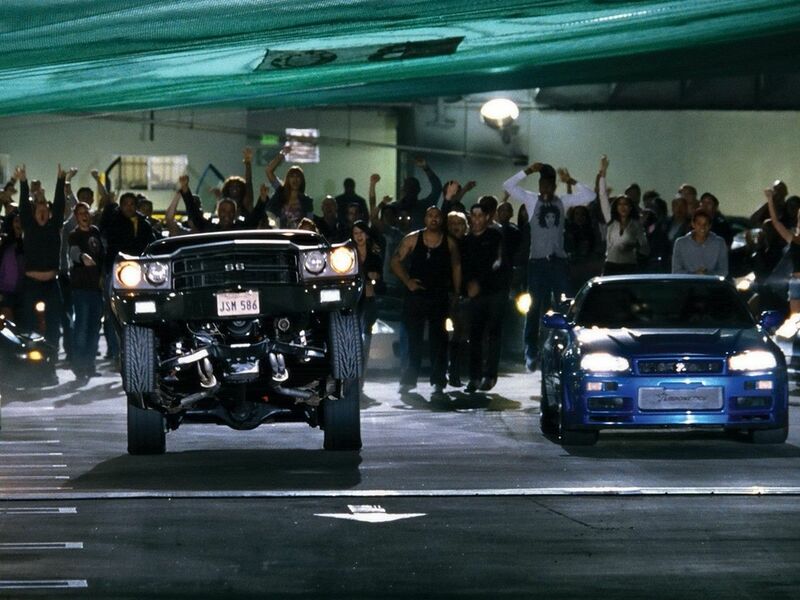 So the one car, an R33 was loaned to the movie. Big Bird. It is the "Streets closed pizza boy" car. After the movie we added direct port nitrous, with the help of SoCal Speed Shop and NOS. Eventually drag racing it in the street tire class at IDRC. It was a 10 second car in Palmdale, so it got down decently. 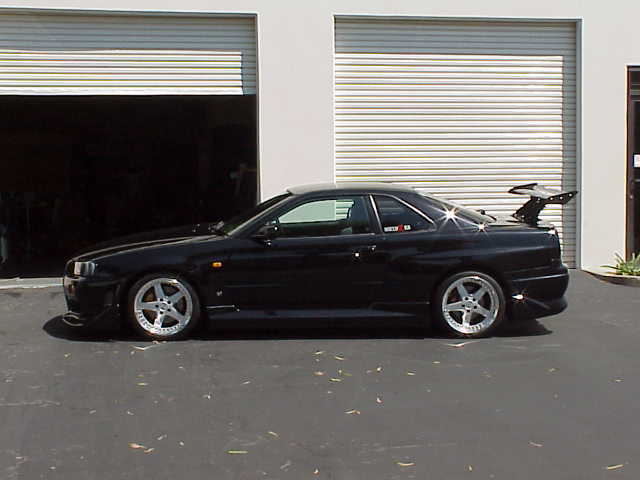 Blackbird was an R34 purchased by MotoRex as a demo car/car for sale. It came over as a stock R34, then got modified, first appearing in Sport Compact Car Magazine. 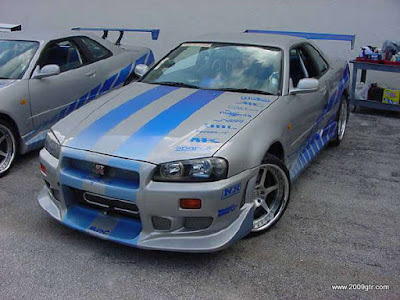 During/right after filming of Fast and Furious, Paul Walker and Craig Lieberman came over to MotoRex to talk buying R34's. Craig ended up purchasing Blackbird, and Paul purchased a dark Silver R34. After Paul took delivery of the dark silver, he decided that he wanted a different car, and ended up purchasing a white VSpec II. The white Vspec II was a customers, that had purchased it brand new, then when the Nur were released, he decided to sell the Vspec II, and purchase a Nur. Craig painted it blue, and it appeared on the cover of Super Street Magazine. When Fast and Furious 2 started spooling up, this time MotoRex was much more involved. The movie wanted several R34's to copy Craigs R34, to use as one of the hero cars. The cars were all run rear wheel drive, for that big drift action. They also did actually jump an R34 GT-R. It supposedly cracked the oil pan, but still ran. 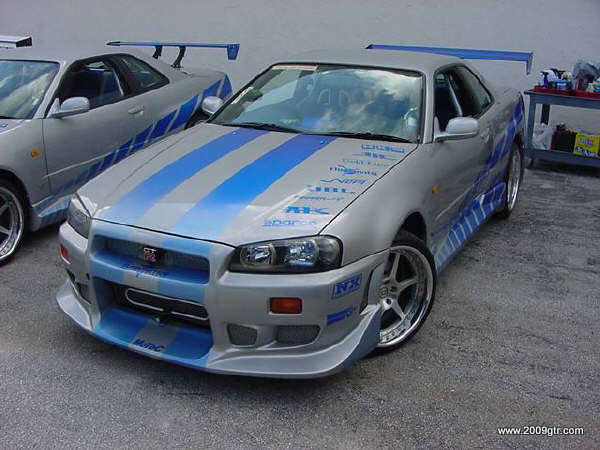 There were four or five R34 GT-R's used for filming, and Craig's hero car. By this time, I wasn't very involved with MotoRex. 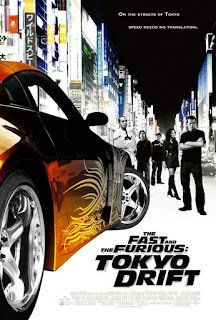 We had a great chance to work on Fast and Furious 3 : Tokyo Drift, or "The Cars are the Stars." 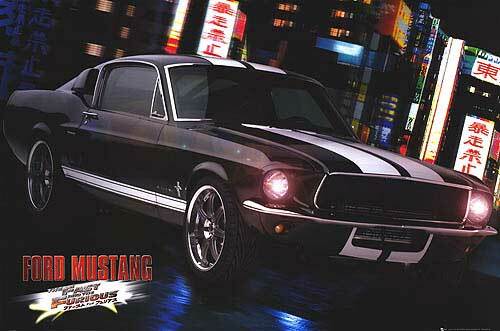 My first contact with the movie, was when Toshi Hayama, who was a technical advisor for the movie called, asking about ab RB25 transmission. He said they needed one to put behind an RB26dett they were putting in to a Mustang. I started laughing so hard, I had to stop for a second to sit down. "RB, in a Mustang, what they hell are they smoking?". Toshi told me, it was true, and so I gave him some info on where to look. Fast forward a few months, and I get another call from my friend John Wiser, Mr. Picture Car wrangler himself. John told me about the Mustang that was being built by Tri-C Engineering. They wanted some help with turbo, and wiring. We took a trip up to Tri-C to have a look at the Mustang and progress. The problem with the OEM shock towers in the Mustang, was there wasn't much room for the twin turbo setup. We could have made it fit, but to give it the look that I wanted, decided to go with a single turbo. It was going to be easier to deal with in this chassis. We could move the turbo up and forward to make it look more dramatic. A call to Reggie over at Turbonetics secured a 60-1 turbo, and some Spearco Intercoolers. I went with a 60-1 because I wanted the most plain, basic turbo I could put on the car. Again, movie car, so it just mostly had to look decent. For engine management, I turned to AEM,and it ran on an AEM Series 1 ECU. Originally the picture car guys had pulled an engine from one of the FNF2 R34 GT-R to use in the Mustang. I thought that this was a horrible idea. They ended up with a non-running R34 shell, and a Mustang that didn't need this engine. So we sold them an RB out of an R32, and then helped put the R34 engine back in its original home. John and myself picked the color for the car, and I picked the exhaust can for it. In case you missed it, it was an HKS style muffler, kind of pointed out and to the right. I made the exhaust shop put it in like that. Sport Compact Car Magazine, and Edmunds both tested this car. It ran well. Was fast for what it was. Since it was just on spring pressure, it really wasn't making much power. However still ran a 13.4@109mph in the quarter, faster than any of the V8 powered stunt cars they tested. Anything you read about the RB powered car not being able to drift, is just not the truth. The reason they didn't use it, because it was the hero. The hero has to look good for the upclose shots. They had four more cars they could beat up, and drive off the side of a cliff, but only one RB powered car. Notice the cam covers are body color in this shot. AEM air filter in the fenderwell. We may have hurt the clutch once. We made them rwd by pulling the propshaft, and managed to bleed a little more the cause. Smacked myself in the head with the propshaft pulling it out. The SAFE way to run an R33 or R34 rear wheel drive is to drop the propshaft. There is backup power for the ATTESA system, on the R33 and R34, so if you just "pull the fuse," you can hurt the transfer case. In the final scene, in the parking garage, where Lucas Black lines up against Vin Diesel, the R34 GT-R World Challenge GT car is hidden somewhere. So sometime after MotoRex shut down, there was a guy that started what would eventually be called Kaizo, or Nissanie. Both names were used, one as the company, one on the MSO's of the cars. Kaizo was born. They imported a ton of cars as "kit cars." Technically no engine, and no transmission is considered car parts. 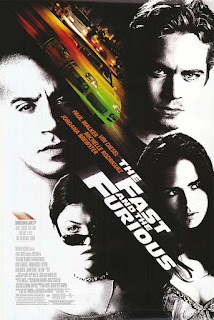 While the blue car was Paul's in the movie, it was not actually his car. The original car was a GT-R, but there were several hero's including the buggy car. The original car was seized by ICE, and then it was eventually exported. It has been listed for sale for as much as a million Euro. 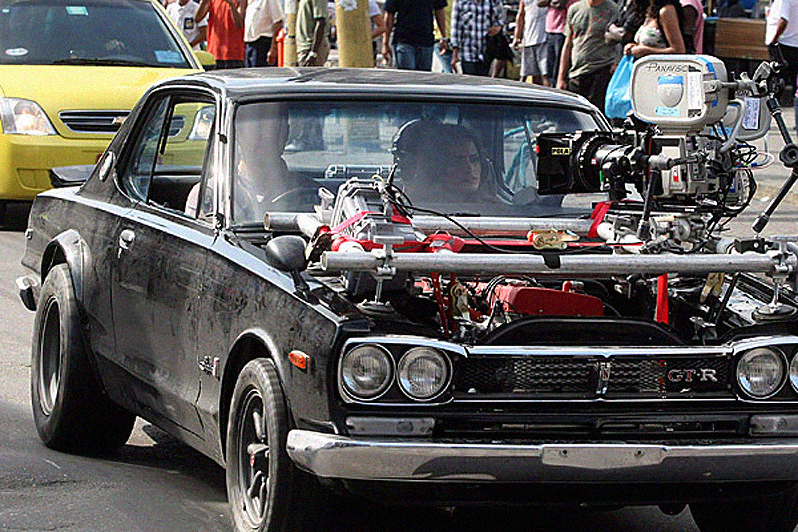 For the 5th movie, about the only thing we did, was suggest a Hakosuka as a cool car to have, and get them some windshields for it.